Co-Founder, Tea Party Patriots, David Bozell, President, For America, Adam Brandon, President, FreedomWorks and I told Senate Majority Leader Mitch McConnell it is time for him to resign. 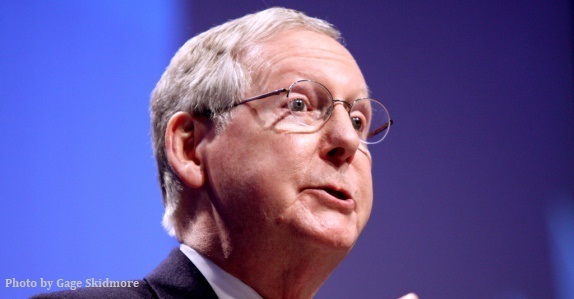 The grassroots support for sending McConnell the message that America’s conservative voters are fed up with his incompetence, failures and betrayals has been overwhelming. And that’s why I’m offering you an opportunity to join us and the thousands of other conservatives who believe it is time for Mitch McConnell and his entire leadership team to step aside for new leadership that is committed to the promises made to the American people. America is too good for them to lead it, and I hope you will join me in telling them so. Your letter, along with the thousands of others we expect to generate will be hand-delivered to the Senate Majority Leader’s office to make it clear to Mitch McConnell the time to resign is NOW. Here is the text of the letter we delivered to Mitch McConnell yesterday, I urge you to join us TODAY, this is too urgent for conservatives to sit on the sidelines while Mitch McConnell kills the opportunity to restore America that we achieved by electing Donald Trump President. You have abandoned good conservative GOP nominees for no other reason than that they were conservative. One need look no farther than the last election cycle when you abandoned the Republican grassroots’ Colorado Senate candidate – Air Force Academy graduate, African American veteran and twice-elected official Darryl Glenn. In 2016, there were only two states in which the GOP had a chance to pick up Senate seats – Colorado and Nevada. In Nevada you led $25 million worth of spending on behalf of your chosen candidate, but you refused to spend any money on behalf of Darryl Glenn in Colorado simply because he was conservative.